This afternoon we had yet another massive thunderstorm and downpour. It started raining more than an hour before I left work and it just finished raining not too long ago (it is 8:00 pm) and it looks like the sun is trying to peek its head out again! My poor tomato plants that are in pots are beginning to show signs of over watering (yellowing leaves)...but they are full of tomatoes. 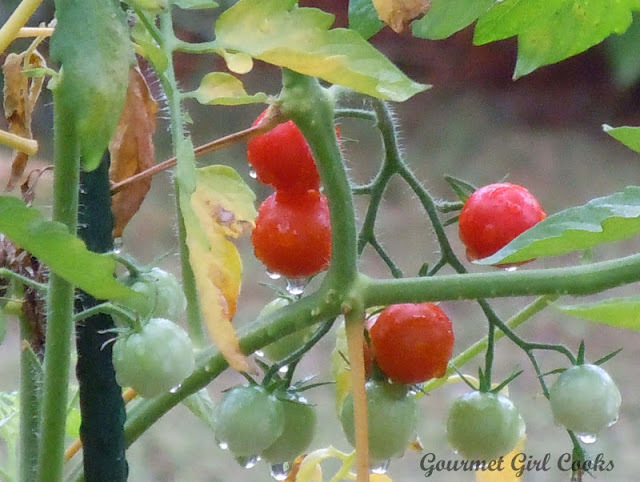 During one of the brief lulls in the rain, I snapped a few pics of the cherry tomatoes from inside the house. 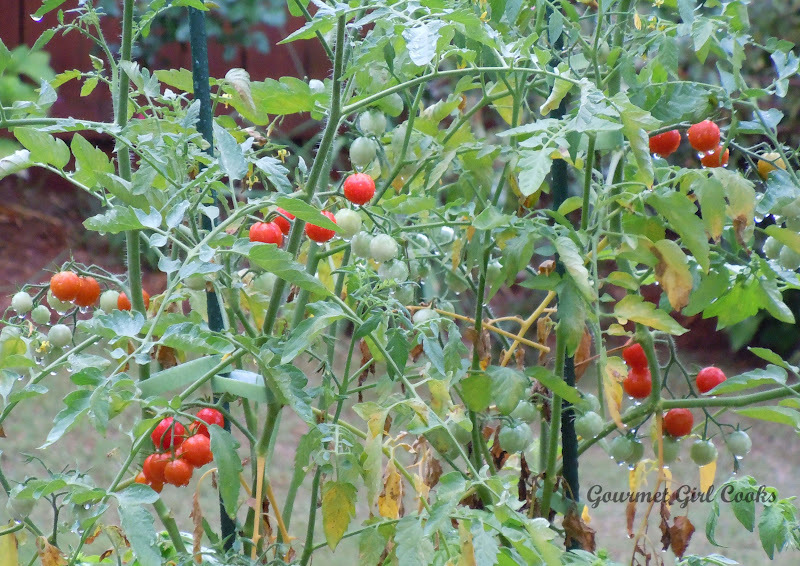 We have had rain almost daily for well over a week now...but that's a good thing (if you're not a potted tomato plant). 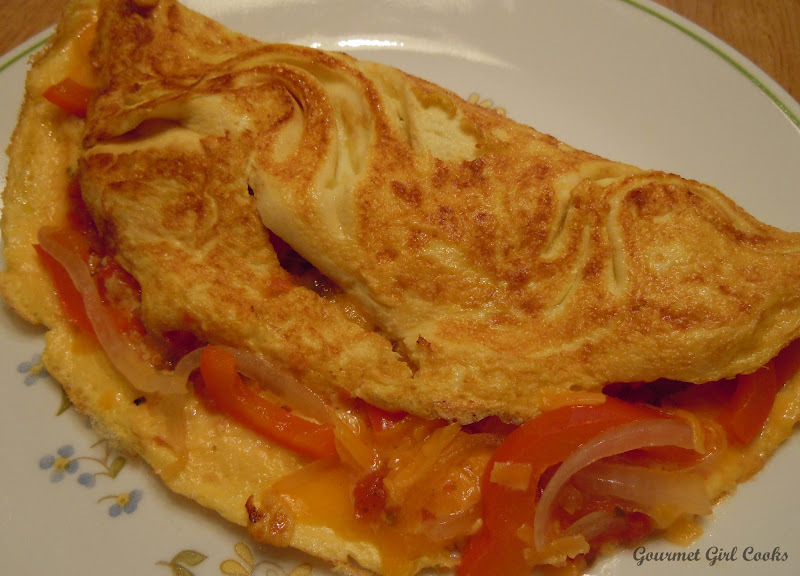 This evening I made omelets for dinner. 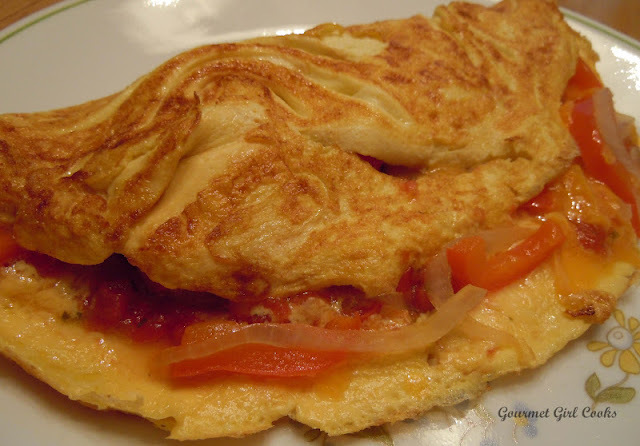 They are quick and easy and I have peppers in the fridge that I need to use up. I sauteed red bell peppers and Vidalia onions to put inside the omelets along with some fresh salsa and a little shredded cheddar cheese. I enjoyed a cup of Macadamia Nut Cookie coffee with my omelet. It was a quick and easy dinner that only took about 20 minutes total to make. 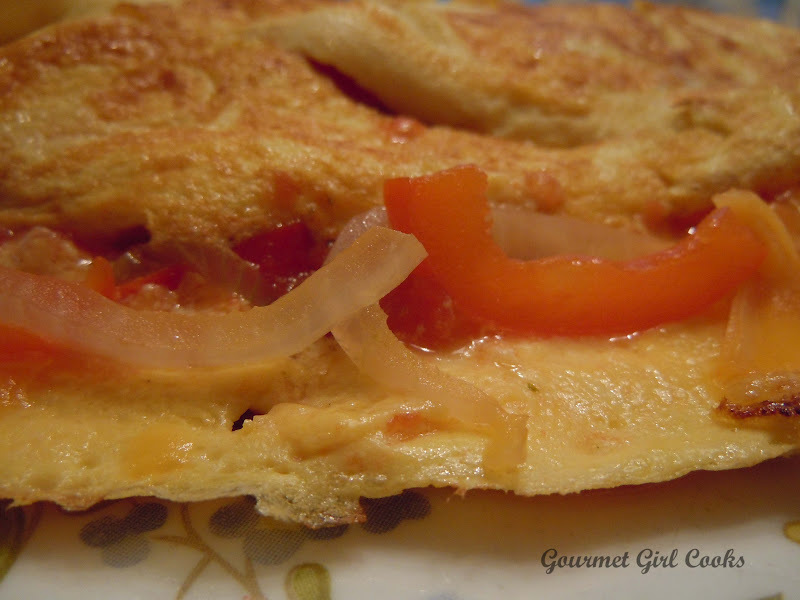 I snapped a few pics of the omelet below. Enjoy! Notice how they grow in "grape-like" clusters.